I can't take credit for coming up with this idea. 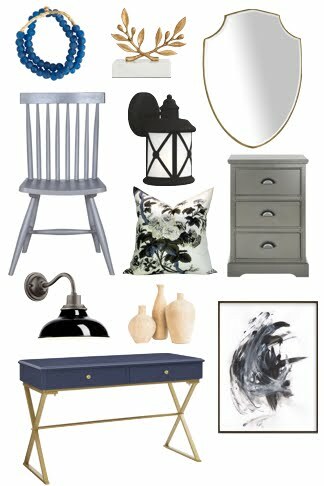 I think I saw it on Pinterest? When I do crafts, I'm always on the lookout for ones that Chloe can be involved in. This one is very toddler friendly and my mom and Chloe made a lantern up in a matter of minutes. 2. 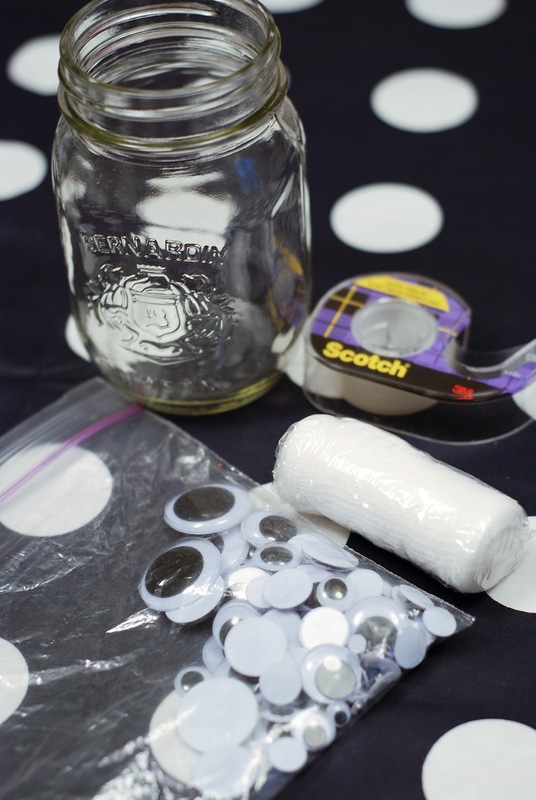 Lay the mason jar down with a "flat" side (no pattern) facing up. 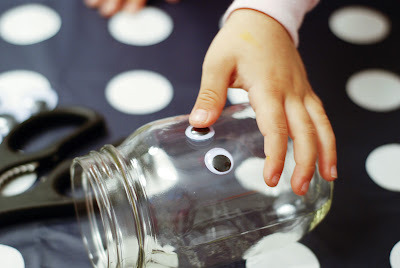 About 1/3 of the way down the jar, put two dabs of white glue and get your little one to attach the googly eyes. Let the eyes dry for a few minutes. 2. Turn the jar over and attach the gauze to the bottom of the jar with tape. Wrap the gauze around the jar, overlapping the rows. 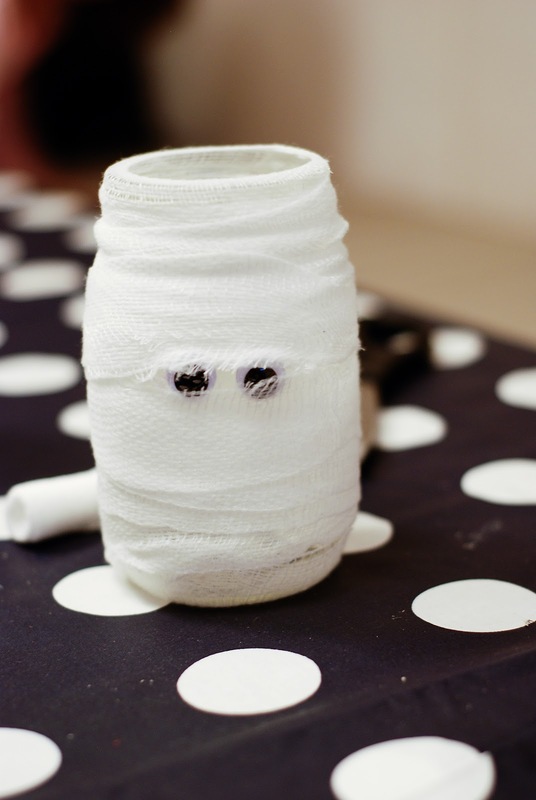 When you get to the eyes, spread the gauze a little so it looks like the eyes are peeking through. 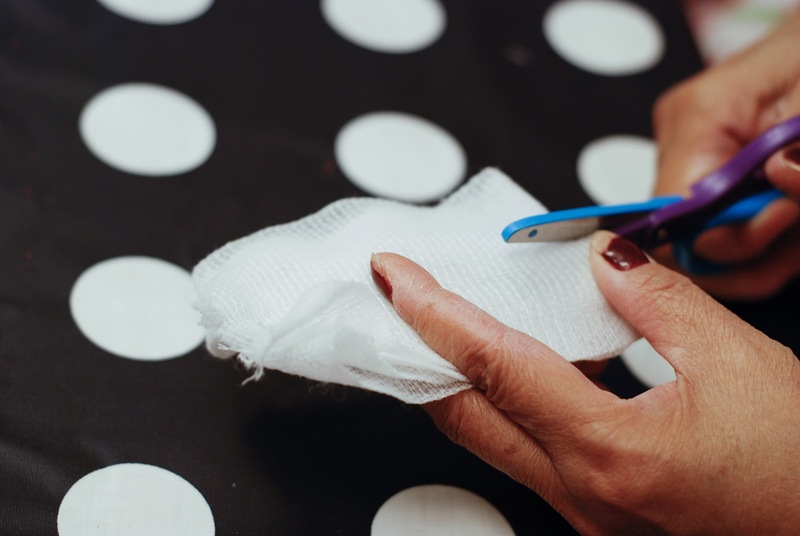 Put loops of tape under the gauze if you feel you need to better secure it (the little one can help with the tape cutting too). 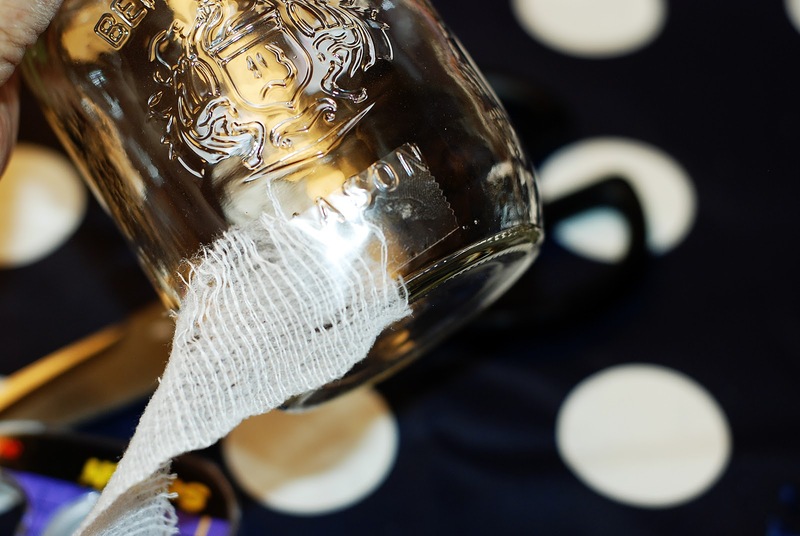 Wrap the gauze all the way up to cover the jar lid threads and secure with tape. 3. 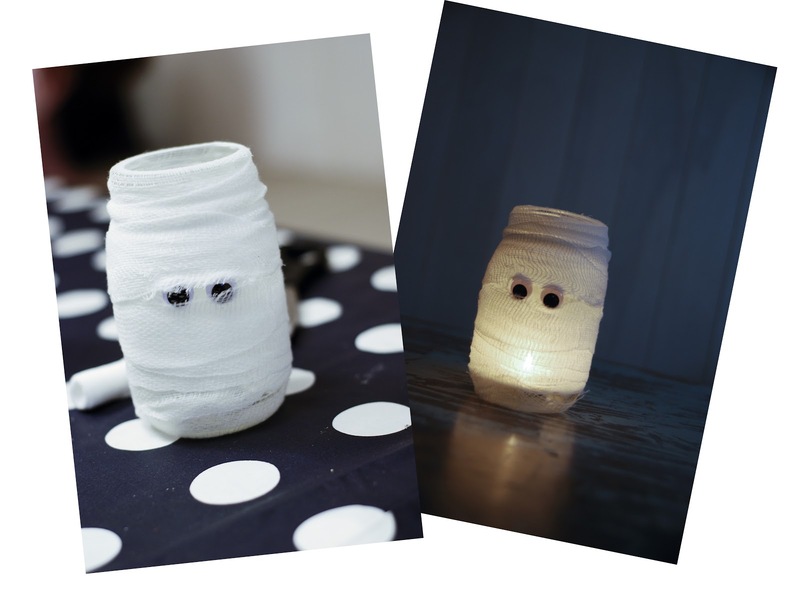 Insert a tealight and bring your mummy to life! These would look great clustered as a centerpiece for a themed party. I'm going to make a few more and use them to line our front steps on Halloween night. 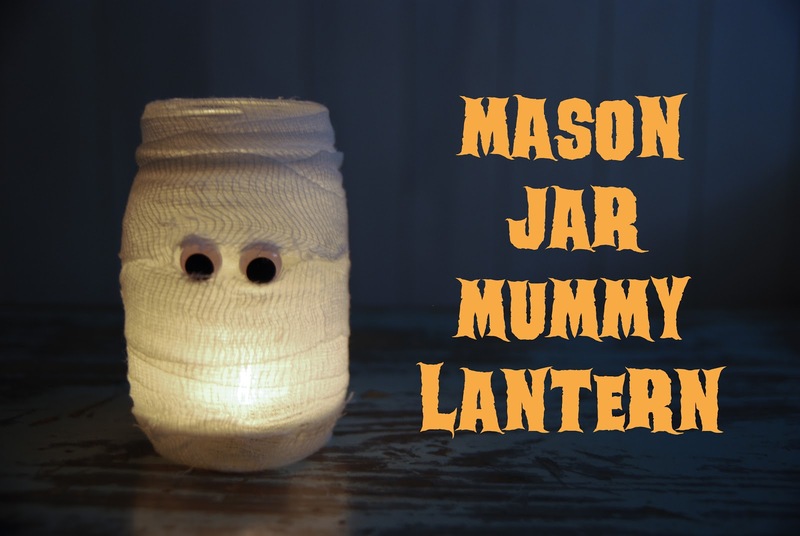 The gauze and glue are easily removable so you can reuse the mason jars after all the little ghosts and goblins have disappeared. so much fun Jen! easy to make and totally spooky ... perfect for Halloween! Aww, these are adorable and them seem really easy to make! Super, super cute. I am making these for sure!! 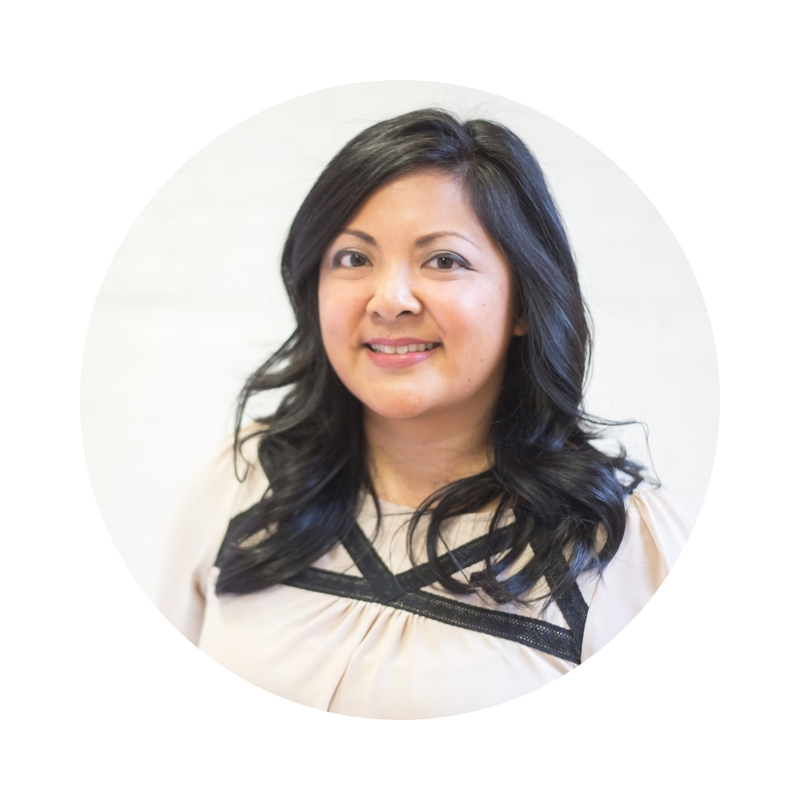 Thanks Jen - have a great week!